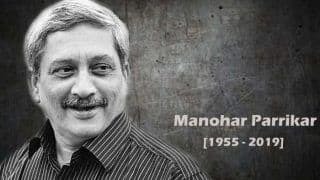 Manohar Parrikar is an Indian politician and the current Defence Minister of India. He is a long time sevak (volunteer) of Rashtriya Swayamsevak Sangh (RSS) as well as a member of Bharatiya Janata Party (BJP). 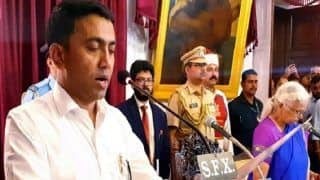 He has also served as the Chief Minister of Goa twice, for the first time in 2000 to 2005 and later from March 2012 to November 2014. He resigned from the Chief Minister post to be inducted as the Defence Minister and the Chief Minister post has been filled by Laxmikant Parsekar. He is currently the member of Rajya Sabha from Uttar Pradesh. 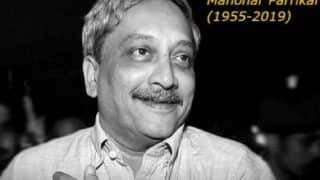 Born on 13th December 1955 in Mapusa, Goa, Parrikar did his schooling from a Marathi medium school named Loyola High school based in Magrao. After completing his schooling, he got admitted to IIT-Bombay in metallurgical engineering and completed it in the year 1978. He received his Distinguished Alumnus Award from his renowned institute in 2001. He joined Rashtriya Swayamsevak Sangh (RSS) at a very young age and by the end of his schooling, he became a mukhya Shikshak (chief instructor). 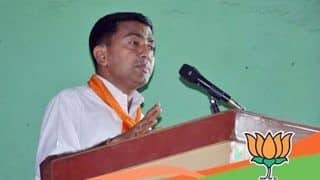 After graduating from IIT, he maintained a private business and also resumed RSS work in Mapusa and became a Sanghchalak (local director) at the age of 26. 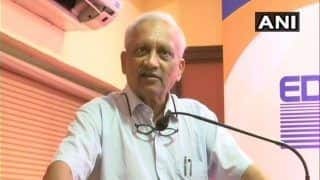 He was one of the key organizers of the Ram Janmabhoomi movement and was active in the RSSs North Goa Unit. With the objective of fighting the Maharashtrawadi Gomantak Party, he was seconded to BJP by RSS. He joined BJP in 1988 marking his first step in politics. He was first elected to the Legislative Assembly in 1994 and became the General Secretary and Spokesperson for BJP in Goa and held this post up to 2001. 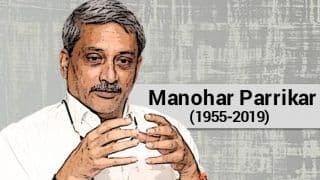 He was the Leader of Opposition from June to November 1999 and in the 2000 assembly elections, he was elected as the member of assembly and he became the Chief Minister of Goa for the first time on 24th October 2000 and held the portfolios of Home Ministry, Personal Finance, General Administration and Education as a Chief Minister. 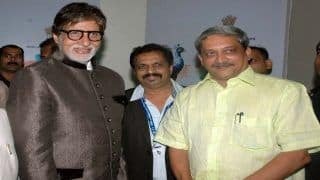 However his tenure would last only till 27th February 2002 but he was re-elected to the Fourth Legislative Assembly of Goa and was re-elected as the Chief Minister on 5th June 2002 and would serve another term as the Chief Minister. His government was reduced to minority on 29th January 2005 after four BJP MLAs resigned from the house. 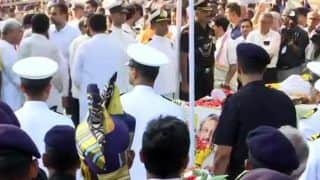 Hence Parrikar had to step down from the Chie Ministers post and Pratapsinh Rane of the Indian National Congress (INC) replaced him as the Chief Minister. 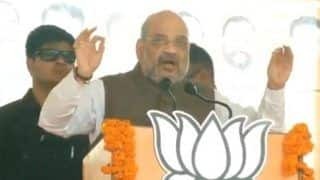 In the 2007 assembly elections, Parrikar led BJP was defeated in Goa by the INC led by Digambar Kamat and he became the Leader of Opposition in June 2007. 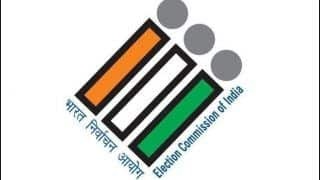 However, his party emerged victorious and BJP along with the allies won 24 seats against the nine seats of INC in the 2012 Goa Assembly elections. Manohar Parrikar was again elected as the Chief Minister of Goa in March 2012 and held the office till November 2014. 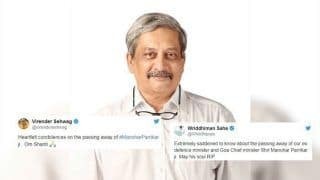 In the 2014 General Elections, BJP won the elections and Parrikar was inducted in the Narendra Modi government as the Defence Minister in November 2014. 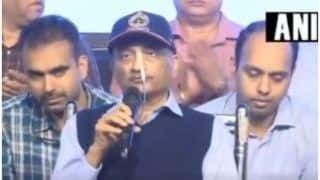 He was inducted as the Defence Minister giving relief to an overburdened Arun Jaitley who looked after Defence Ministry as well as Finance Ministry at the same time. 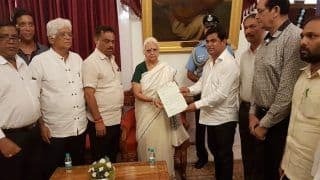 He resigned from the post of Chief Minister of Goa and was succeeded by Laxmikant Parsekar. 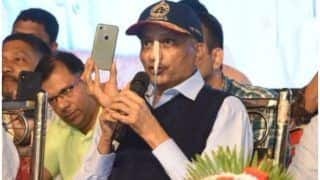 Parrikars entry into the parliament was facilitated by choosing him as the partys candidate for the elected Rajya Sabha seat from Uttar Pradesh.Manohar Parrikar is married to Medha Parrikar and the couple was blessed with two sons Utpal and Abhijat Parrikar. 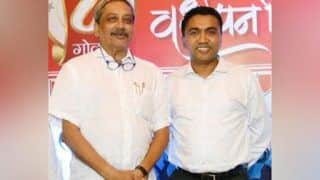 Utpal is an Electrical Engineering graduate from Michigan State University whereas Abhijat Parrikar is a local businessman. Parrikars wife died in 2000 suffering from cancer. 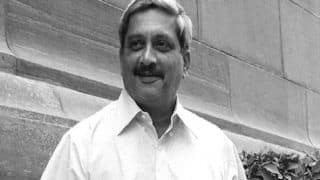 Parrikar was in controversies as the Chief Minister of Goa in 2001 for turning the fifty one government primary schools in rural areas to Vidya Bharati, the educational wing of Sangh Parivar. In November 2013, a 37 person delegation travelled to Italy, Germany and Austria to observe European waste management plants and practices and the trip cost about 1 crore rupees which werefunded by the taxpayers money inviting criticism from opposition. 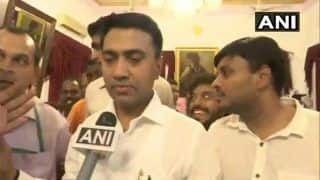 He also drew criticism for approving a junket costing at least 89 Lakhs for six MLAs from ruling party to attend the 2014 FIFA World Cup in Brazil. 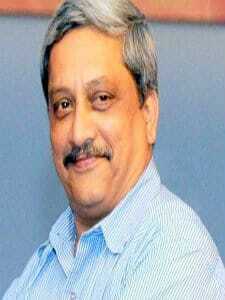 Parrikar was awarded the 2012 CNN-IBN Indian of the year in the Political category.